Welcome back to another edition of “The Cooperstown case”. The last time, we took a look at the case for the late Ken Boyer, and whether or not he was deserving of induction into the Baseball Hall of Fame. This time around, we do the same for another former Cardinals player. Unfortunately for this gentleman, his contemporary at the same position has not only overshadowed him, but has also made it into the Hall of Fame. His name? Ted Simmons. And his contemporary? Johnny Bench. Before we go into specific details about Simmons, it’s best to start by talking about when he and Bench played, and how their careers coincided because of it. Simmons made his debut in 1968, and retired in 1988. Bench made his debut in 1967, playing until 1983. While Bench played solely for the Cincinnati Reds, Simmons played for the Cardinals from 1968-80, Milwaukee Brewers from 1981-85, and the Atlanta Braves from 1986-88. Bench had hit more home runs in his career than Simmons (389 to 248), but Simmons had a better batting average (.285 to .267), as well as more RBI’s (1,389 to 1,376). Finally, Bench’s Hall of Fame induction. He was inducted into Cooperstown in 1989 with over 94% of the vote (on his first ballot). Meanwhile, Simmons (or “Simba” as he is nicknamed) is still waiting. His .285 career batting average is at least 18 points higher than Bench, Gary Carter, and Carlton Fisk. He also has the most career RBIs (1,389) and hits (2,472) among the four. Also, Simmons’ career OPS and OPS-plus is a close second only to Bench’s. Simmons has more career doubles than the following Hall of Famers: Brooks Robinson, Frankie Frisch, Reggie Jackson, Jimmie Foxx, Joe Morgan, Rod Carew, Roberto Clemente. And those are just a few of the notable names. He also has only three fewer career doubles than a Hall of Fame teammate of his… Lou Brock. Another interesting tidbit of information (I know, we’re really digging deep into statistics): when Simmons retired, he was the National League’s career switch-hitting home run king. Later, it was broken by another player who will surely make the Hall of Fame: Chipper Jones. Simmon’s career RBI total is fifth all-time among switch hitters. As for defense, while he wasn’t a 10-time Gold Glove Award winner like Bench was, Simmons still boasted a .987 fielding percentage. Without a doubt, his best years were with the Cardinals organization. He had a total batting average of .298 as a member of the Cardinals, topping the .300 mark six times. 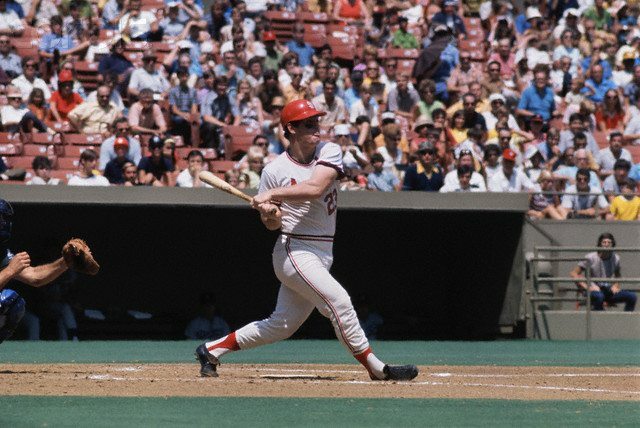 He also hit 20 home runs in five seasons, had 100 or more RBI’s in two seasons, and was elected to six of his eight All Star Games while a member of St. Louis. But statistics aren’t everything. He also made a huge impact on the Cardinals’ of thee 1970’s, a decade where the successful teams of the ’60’s faded away, Bob Gibson‘s career winding down, and a turbulent period with lack of success. So, the question becomes: does Simmons deserve a spot in Cooperstown, alongside his contemporary and the players whose attributes he’s surpassed? Maybe he does. Maybe he doesn’t. And much like Boyer, only time will tell if the day comes when Simmons finally gets acknowledged for his achievements. Grichuk hits game-winning home run in 13th!